Originally an ancient Celtic festival, this is the eve of the Christian All Saints’ Day. From dusk to about 9pm, children dress up in costumes like ladybugs, princesses, Harry Potter, zombies, vampires, etc. They go door-to-door “trick or treating.” House-dwellers usually oblige by giving them candy or apples. Most schools, bars and community groups also celebrate with costumes and parties. 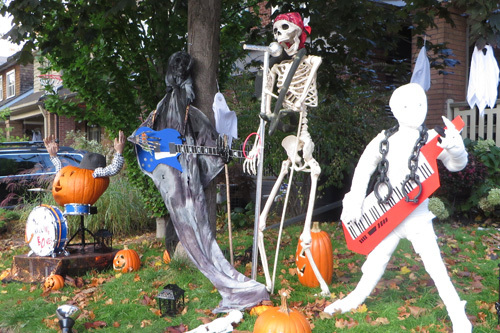 Many houses, stores and neighbourhoods have been decorated with pumpkins and harvest themes for weeks before. Many have scary themes like grave stones, skeletons, cob-webs, and ghosts. Being frightened is part of the fun.